With less than a month left, my anticipation is rising. For me the Fall season brings my birthday, cold weather (which I love), and good anime. This Fall season looks hopeful, with a handful of shows that look extremely enjoyable, if not great. Definitely Watching:</strong> Shows I will be watching and blogging for sure. 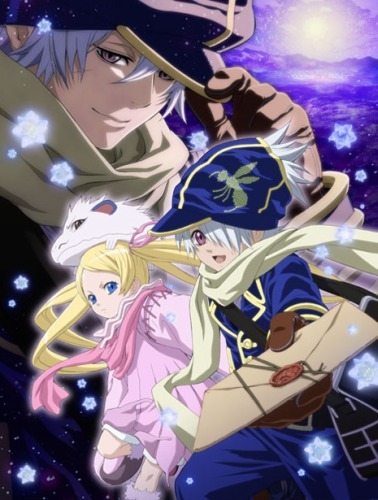 Summary: Tegami Bachi is based on the Shonen Jump manga of the same name, which I have volume 1 of but haven’t read yet. The story follows the main character Lag, a “Letter Bee,” who delivers packages. My Thoughts: From what I have browsed through in the manga, I really like the art style, and I hope that it is present in the anime. Letter Bee also had a SJ Anime Tour Special a year ago, also by Studio Pierrot, which briefly touched on the story and characters. 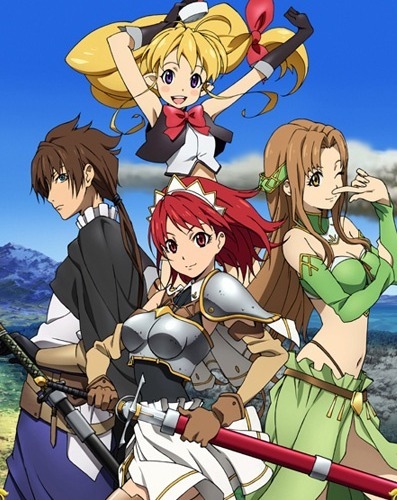 Summary: Seiken no Blacksmith is based on the light novel series by Isao Miura. The story follows Luke, a blacksmith, who encounters Cecily Campbell, who is part of the knighthood. This sets them off on various adventures. My Thoughts: I honestly don’t know much about this series besides short summaries I have read throughout the internets. I can say that I do like studio Manglobe’s work on Samurai Champloo and Michiko to Hatchin, so that alone is enough to warrant the show worth watching. And who doesn’t like series with cute female characters with swords? Summary: Fairy Tail is based upon the shonen manga of the same name. 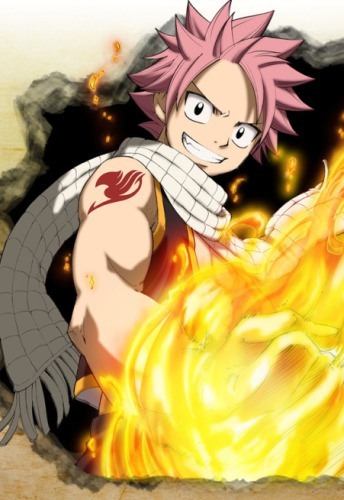 The story follows Natsu who is part of the famous mage guild Fairy Tail. The female lead, Lucy, is an aspiring mage hoping to join Fairy Tale. Well it just so happens she meets up with Natsu and joins Fairy Tail. Thoughts: I have a read a little bit of the manga and based on that it was enough to make this a must watch. The show has comedy, your typical shonen male lead and female. This is enough to get me on board. Plus A-1 is the studio that worked on some of my favorites from Fall 2008 like Kannagi and Kuroshitsuji. Summary: Kimi ni Todoke is based on the manga by the same name (published in the U.S.A. by VIZ Media). The story follows Kuronuma Sawako who isn’t exactly the friendliest looking girl in school. It seems that she can’t make any friends, until her classmate Kazehaya is even nice to her. 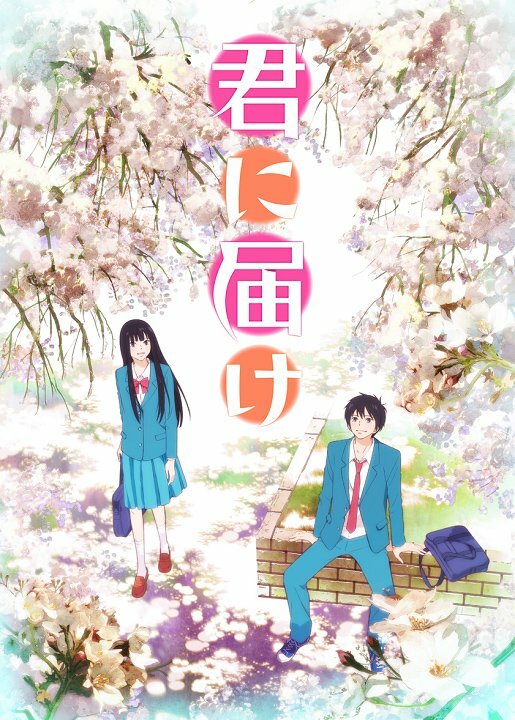 Thoughts: It seems like a nice story, and at 12 episodes I hope it can get finish the story, but also show considerable character development. I’m very excited for this show. Possibly Watching:</strong> Shows I will check out and may blog. Dependent on how the show goes, I may finish it or drop it. 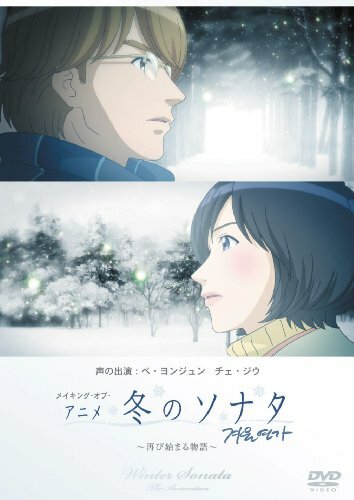 Summary: Based on the live-action drama of the same name, Winter Sonata is a drama about the high school life and young adulthood of the two main characters Kang Joon-Sang and Juuny Yu-Jin. Thoughts: I like a good drama, no, I love a good drama. I am hoping this is one of them, but it is hard to tell. Since I haven’t watched the live-action,yet (I am going to check it out very soon) I can’t say much about it plot or character wise. I think a nice plus for fans of the live-action is that 23 of the original actors are lending their voices for the anime. We will have to see what this show brings. That looks like that is just about it. I don’t think I missed anything else that caught my eye. With a handful of sequels to shows I haven’t seen yet, I don’t think I will be watching any of those. If I missed any promising prospects, please let me know!